The painting by Florentine artist Alessandro Allori “Allegory of human life”. The size of the picture is 37 x 27 cm, copper, oil. In allegory, love, virtue, justice, quarrel, glory, truth, war, abundance, peace, spring, death, etc. are portrayed in painter’s paintings as living beings. The qualities and appearance inherent in these living beings are borrowed from the actions and consequences of what corresponds to the images and properties embodied in these concepts, for example, the image of war is denoted by means of military implements and standards, the seasons – by the fruits or field exercises corresponding to them, justice – by means of weights and bandages before the eyes of Themis, death – by means of clepsydra and braids. Obviously, the allegory lacks the full plastic brilliance and completeness of artistic creations in which the concept and image coincide completely with each other and are produced by creative imagination inseparably, as if merged with nature. Allegory oscillates between the concept that comes from reflection and is ingeniously invented by its individual shell and, owing to this half-heartedness, remains cold. Allegory, corresponding to a rich way of representing the eastern peoples, occupies an important place in the art of the East. On the contrary, the allegory is alien to the Greeks under the marvelous ideality of their gods, understood and imagined in the form of living personalities. Allegory appears in ancient Greece only in the Alexandrian period, when the natural formation of myths ceased and the influence of Oriental ideas became noticeable. In ancient times, the dominance of allegory in art and literature was most evident in ancient Rome. 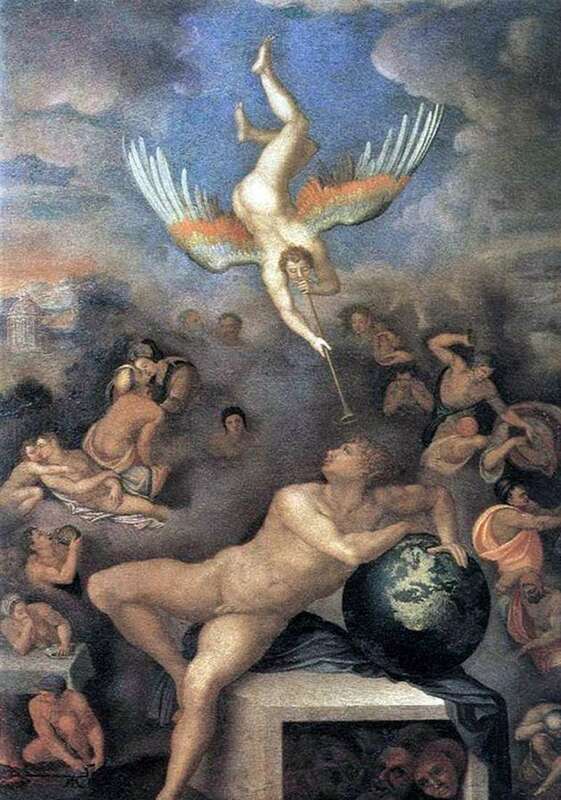 Description and meaning of the painting Allegory of human life by Alessandro Allori.